Reducing Added Sugar in our Menus...Sweet! 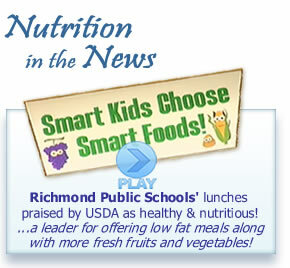 Richmond City Public Schools, School Nutrition Services department provides meals for approximately 24,000 students. Our department is staffed with over 250 Food Service Workers, 45 Cafeteria Managers and 12 Clerical and Administrative staff persons. We participate in the USDA Community Eligibility Programs ( CEP) for all grade levels.